You will continue to receive resources, in particular, the Choose Life Newsletters, prepared by the Irish Episcopal conference and circulated by the Communications Office. 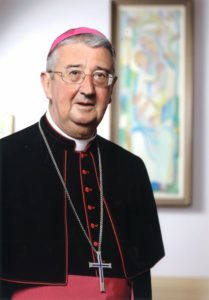 See also the statement from the Irish Bishops “Our Common Humanity”. 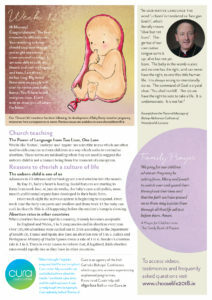 Both are available on this page for download and circulation, as well as Prayers for Life – Intercessions & Scripture reflections from the Diocesan Liturgy Office, which can be used over the coming weeks. 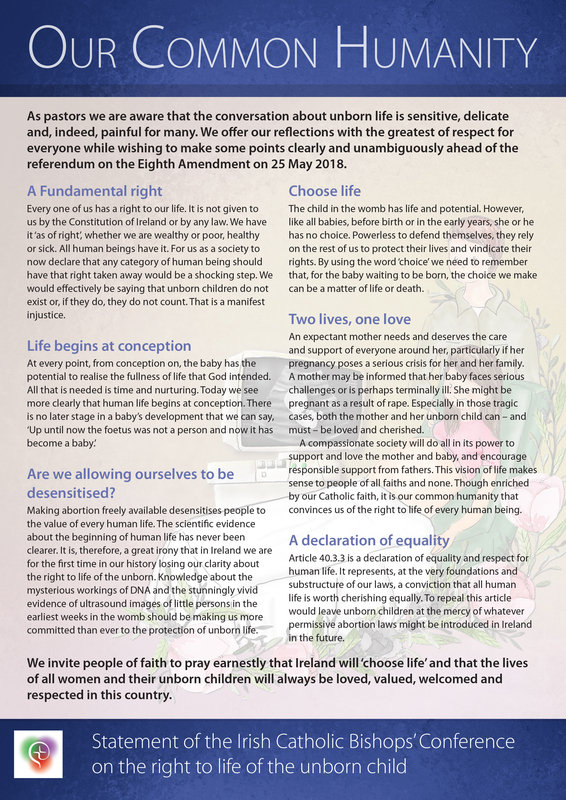 During their Spring General Meeting this week in Maynooth, the Bishops of Ireland reviewed their pastoral message Two Lives, One Love and today (Friday 9th March 2018) publish a revised edition as part of their contribution to the national conversation on the right to life. 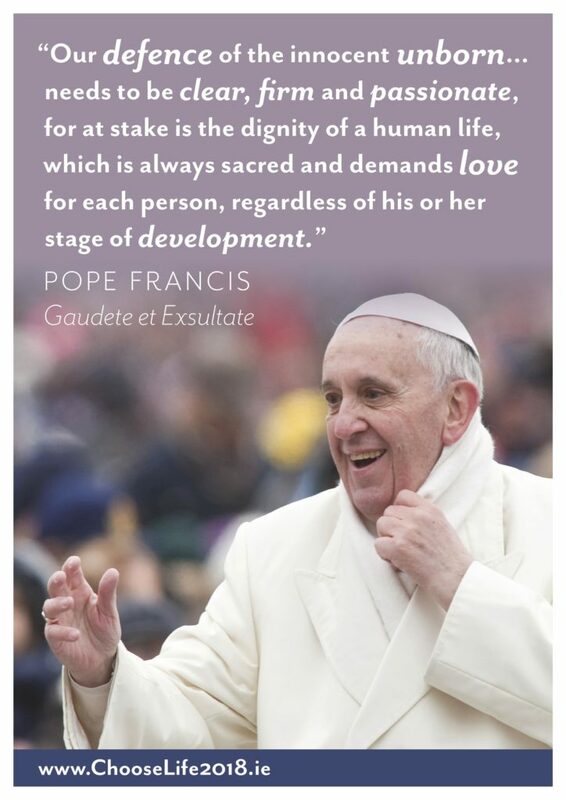 Printable version of the pastoral message ‘Our Common Humanity’, for those who wish to distribute it over the coming weeks. 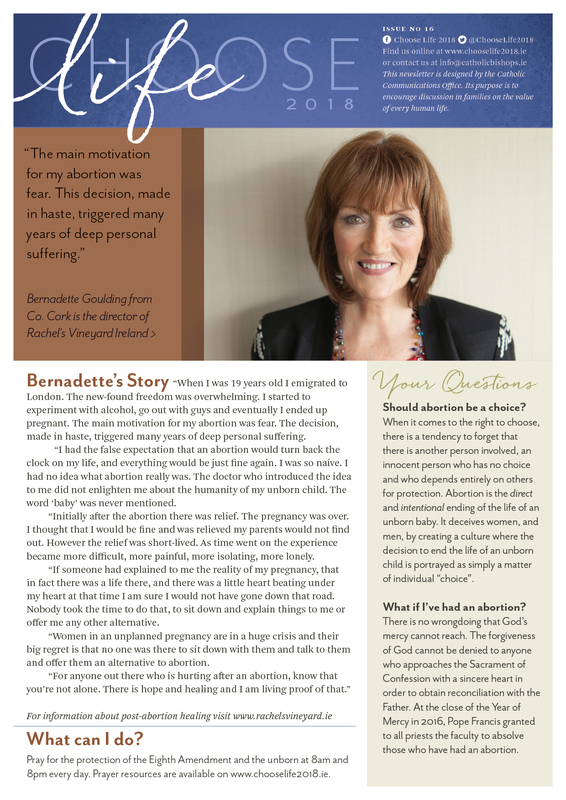 Please see attached the 16th and final issue of the weekly newsletter Choose Life 2018, circulated by the Catholic Communications Office. 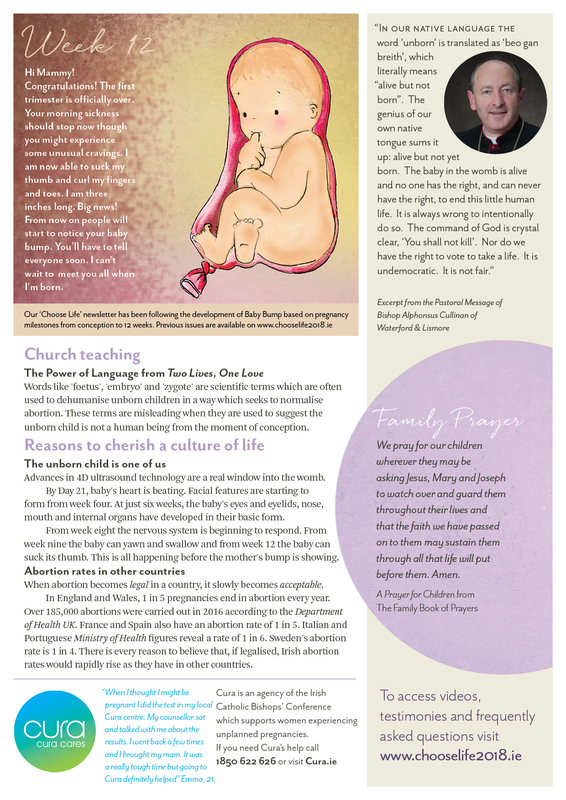 All previous issues of the newsletter are available on www.chooselife2018.ie as well as related liturgical resources and media content celebrating the culture of life.